On this bright Saturday morning, hundreds of young kids will be gathering at Yeonas Field in Vienna to kick off the start of another Little League season. Some are being introduced to the national pasttime for the first time and others are 12 year old “veterans” playing their last year and hoping to represent Vienna at Williamsport in the Little League World Series. 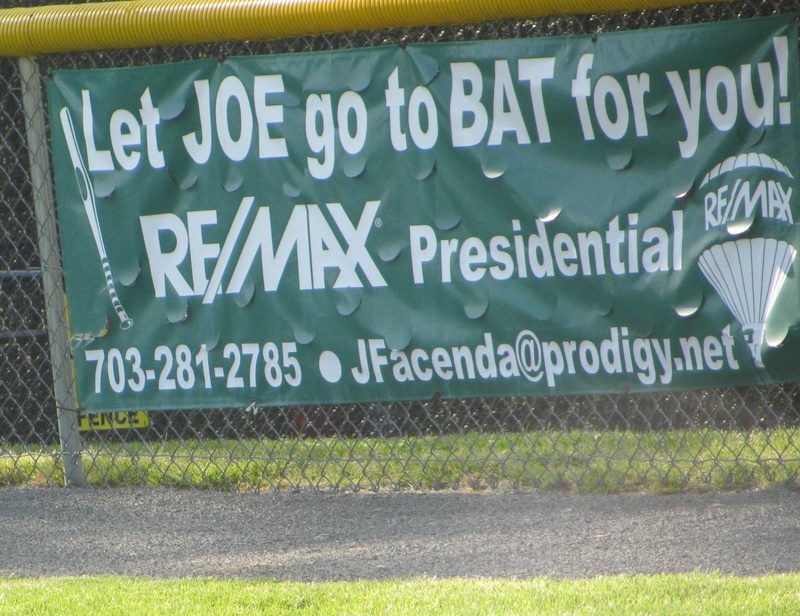 I have been a supporter of Vienna Little League since 1995 when my oldest son started playing Tball. The following year I managed his team, took him up through AAA and then stepped back to A ball to manage my younger son. With the younger one, I managed until he left the Majors. 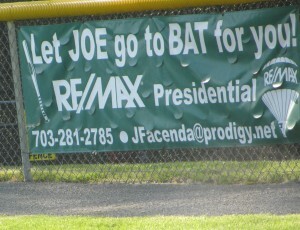 Somewhere around 2002 I started to support the league by advertising with a banner on Crabtree field. I look back on my family’s interaction with the league over all of those years with tremendous warmth. My boys formed many friendships that last until this day. And as parents we have, too. I love walking around town and running into my former players who are now young men. Some still warm my heart when they call me coach. And my wife and I still socialize with families we first met at the ballpark. This is a great time in the lives of these kids. There are plenty of stories of overly competitive sport coaches and parents who destroy innocent childhoods. However, my experiences indicated that was a very, very rare situation. Yes, some dreams will be dashed. This year many will realize their future may not be on the diamond but that their greatest talent lies behind an easel, a trombone, a microscope or on the stage. However, they can still come away with an appreciation for this beautiful, intricate game and experience what it means to be part of a team striving toward a goal. But the dreams! Let them dream and believe they will be the next Zimmerman, Desmond or Espinosa as they effortlessly field a groundball and zip a throw to 1st. And when those dreams change, I hope they still remember the joy of sunshine on their backs, the smell of the leather glove and friends they made in this glorious period of their lives that will pass way too fast for both them and their parents. *According to Baseball Almanac there are 7 active MLB players born in Northern Virginia but only 3 are currently on a major league roster.